uwaifo.imafidon@thepetronomics.com using "Marketing Officer" as subject. · A Bachelor’s Degree of Science, web design, or any related courses. · A background in Social Media is an advantage. · Deadline: 6th June, 2018. · Urgently need to hire a target driven marketer. Qualified candidates to send cv to xp@hcdclimited.com with 'Female Marketing Executive' as subject of mail. 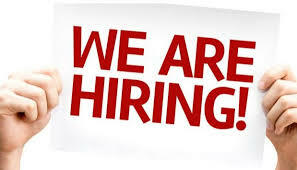 · Great interpersonal skills to join our awesome team. Send CV: vacancy@expriencenaija.com. Application closes 13th June 2018. The ideal candidate must possess specialized skill and experience in the relevant field: Bachelor's Degree in Economics, Finance, Law, Politics, Web Journalism, Statistics or Computer Science. o With vast experience in the production of different types of pastries (phyllo, shortcrust, puff), bread and cake baking. Applicants should send their Applications and CV's to: recruitment@ht-limitedng.net with Job Title as the subject of the mail. The right candidate must have vast knowledge of Nigerian and continental cuisine. Have a B.Sc in Agronomy or Soil/Crop Science. Have 5 years experience in crop farming, plantation management and green house management. Have the experience of growing different types of vegetables and fruits especially those that do not have their origin in Nigeria. Be able to create strategies in strengthening crop production and crop management. Be able to initiate newer techniques in managing the soil for higher yield. 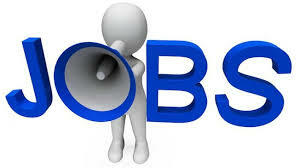 OND/HND/B.Sc with 2 years product sales experience. Must know the Lagos terrain and be able to meet set target. · B.Ed. or B.A/B.Sc (PGDE / PGCE) in any discipline and minimum of 2nd class honours lower division. Minimum of 3 years’ experience in teaching in a primary school setting, ideally an international school. Experience in teaching the International Primary Curriculum/National Curriculum of England is an added advantage. Should be a person with high integrity and excellent character. Not more than 45 years old by May 31st, 2018. Any false information provided during or after the application process will lead to the outright disqualification of such candidate. · Experience in an international school is an added advantage. · Excellent skills in classroom management. · Should be a person with high integrity and excellent character. A University Degree in any discipline at a minimum of 2nd Class Lower. Recognized degree (Bachelors or Masters) in Speech and Language Therapy with eligibility to join regulating body, for example The Royal College of Speech and Language Therapists. Willingness and motivation to maintain a high level of Continuing Professional Development and, develop specialist skills. Minimum 3 years’ experience as a Speech & Language Therapist working with children (ages 3-12), ideally in a school setting. Experience in carrying out both formal and informal assessments, and using the outcomes to inform therapy and in developing care plans. Clear knowledge of digital marketing strategies using all necessary tools (e.g website, emails, social medial, blog and camera). Knowledge of up to date industry-leading software and technologies (3D Design, Illustrator, InDesign, Dreamweaver, Photoshop, CorelDraw etc). Degree in Fine Arts or any relevant IT related discipline. Applicants should forward their updated CV's/Resumes to "The HR" through this e-mail address: jobs@juanindustries.com using the post applied for as the subject of the mail. • Lead, measure, and optimize SEO/SEM for the organization to maximize traffic and visibility. • Create strategy, plan and execute integrated digital acquisition programs that include a mix of web, mobile, social, display and SEO/SEM advertising elements to increase sales. • Measure and report performance for all digital marketing campaigns and channels (ROI and KPIs), using the data to drive improvement and increase conversion rates. • Integrate online activities with off-line marketing communications plans to ensure campaigns maximize sales. Please send your cv to recruitment.ng@infinixmobility.com stating the role applied for as the subject of the email before 4th June, 2018.